This is one of the most frequently asked questions. Nowadays, I believe the most commonly known type of artificial nails is Gel Nails, where you apply a layer of liquid on the nails then put them under the blue light to make them hard. 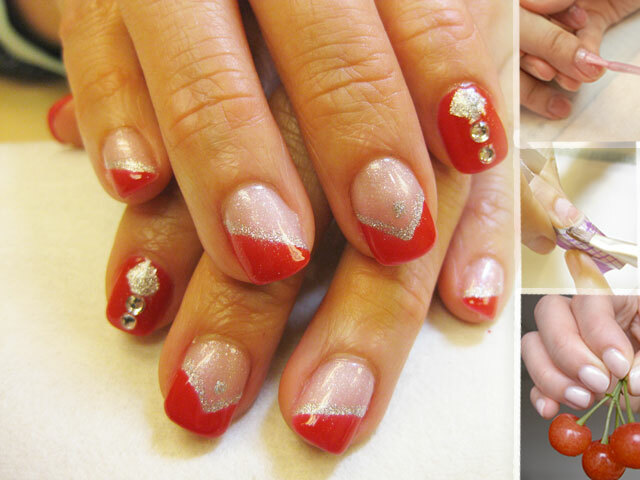 In fact, before Gel nails, there was another type of artificial nail – Acrylic Nails which have been extensively used for 20+ years, while Soak off Gel is one of the latest technologies under the Gel System. 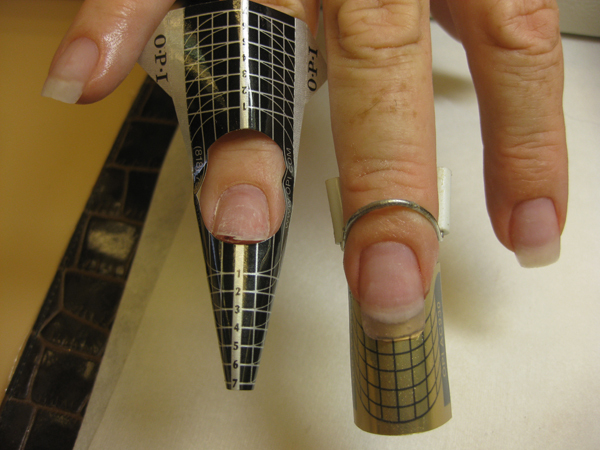 So, what kind of artificial nails specifically suit your needs? May be you could get some clues from the comparison table below. Color Main color: White; Light Pink; Transparent. Main color: White; Pink; Transparent and some other dark, light, shimmer colors. Same range of tones as OPI’s Nail Lacquer. All Soak-Off Gel colors have a corresponding Nail Lacquer to match. Same as Soak-Off Gel Nails. New colors launched from time to time. Material High density, relatively firm and more solid. It is actually an orthopeadic technique originally invented for nail biters and those with pliable nails. 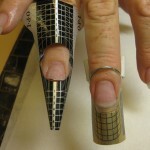 Since it can mimic the look of real fingernails, then, later on developed to a fashion accessories. Low density, but high adhesive. Relatively thick as a mending tool and simply for beauty purposes. High elasticity; High color density; the most natural effect in mimicking the look of real fingernails. Similar formula as Soak-Off Gel. But new design of packaging as now the gel is stored in a bottle with individual brush for each color. Technique By using a Kolinski brush to apply a mixture of polymer powder and a liquid monomer on real nails. Then the mixtures start to harden in 30-40 seconds in room temperature. 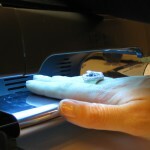 A pre-mixed Polymer Resin, only hardens under ultraviolet light. Also applied on buffed real nails. (Base + 1st Color coat + 2nd Color coat + Top Gel) Similar formula as Gel, also a color gel mixture which hardens under ultraviolet light. But with more advanced technology it can be applied on real fingernails without intensive buffing and can be soaked off instead of picking off with cutters. Cons Has a poignant chemical odor. Need to buff real nails during every refilling. Pros Perfect as an orthopaedic tool. If extension is needed, this will be the best material as a base support. (especially for people with short nail plates) No Odor. Comparatively easier to control than Acrylic, because the Gel will not harden before you put it under UV, you won’t have a “time challenge” like Acrylic, means you have much more time to mold the shapes. No need to have intensive buff on real nails. You could take off the whole set of Gel every time by just “SOAKing” them into a special remover. Very long lasting color, and most importantly your daily activities like wearing contact lens or picking coins or paper clips from table will have the least obstruction because it is really natural. Overall quality improved compare to Soak-Off Gel. LED light speed up the whole process, takes around 45mins. More glossy as the LED lights have 180ºC coverage. Nail Art Most of the 2D or 3D nail arts require acrylic technique. 2D or 3D arts, gradual color. Only suitable for 2D and Air Brush patterns. Allow for Matt finishing and simple 3D nail art. Choosing the right Artificial Nail type is very similar to choosing skin care products, before you purchase, you need to know clearly what kind of skin type you have, oily; dry; allergic…… An experienced nail technician should be able to tell you what type of artificial nails are fit for you. Please feel free to consult us if you have any queries.